In the last ten years Herpes virus disease has become epidemic. It has emerged from being considered a nuisance problem of fever blisters to a pestilence of major proportions. 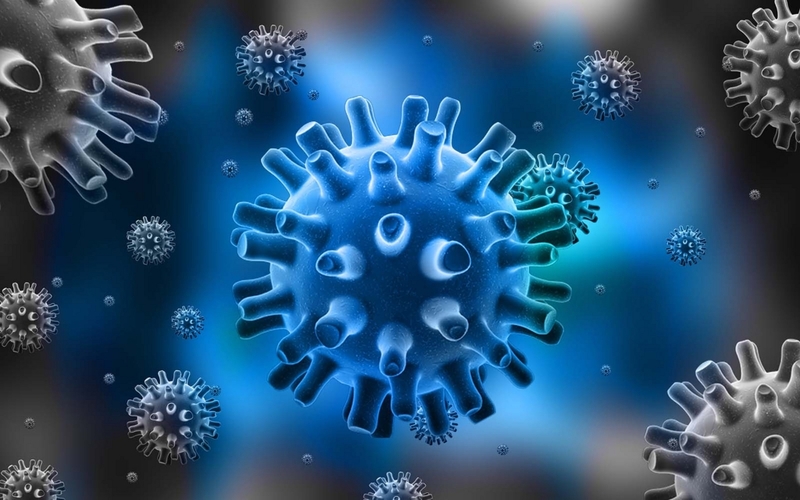 Genital Herpes has replaced gonorrhea as the most common sexually transmitted disease. In venereal disease frequency, syphilis is far behind. Up to 500,000 persons in the United States this year will fall victim, for the ﬁrst time, to primary genital Herpes. An estimated 10 million to 15 million people will continue to experience the frustrations of secondary recurrences. Researchers at the Center for Disease Control in Atlanta, Georgia, estimate that 30% of the sexually active American population have been exposed. Reports from other nations point to similar statistics in Canada, Japan, and the countries of Europe. An article on Herpes is needed not only because of the prevalence, but also because of an astonishing lack of knowledge about the disease. That lack applies to physicians as well as patients. When I was in medical school, genital Herpes was not recognized, and it has been only in the last ﬁve or six years that much public information has been available on the subject. Few doctors have learned enough about the complexities of Herpes to properly counsel their patients. “Don’t you know? You’re the one that's got it. If it gets more sore, call me and we’ll think about consultation." He washed his hands—twice—and then showed you to the office door, seeming to take care not to touch you. You’re stunned! You think, I’ve got Herpes! What a shocker! You furtively return to the waiting room. All the patients look up—and somehow seem to know. The outer door appears to be a football ﬁeld away. When you get home you go straight to your room. You feel worse than when you went to the doctor. Your head is in a whirl and the sores that took you there hurt like crazy. Your lymph glands are sore—the ones you didn’t know were swollen until he pointed them out. My experience as a doctor in private practice, as a physician in Zimbabwe, Africa, and as one who has delivered over 4,000 babies, did not prepare me for the things I found when I left private practice in 1966 to become staff physician and then, three years later, the Director of Medical Services at California State University, Fullerton. College-age persons, those who are working full-time and those who remain in school, are often neglected in their medical care. The 18 to 25 year-old students are usually left out of the mainstream of medical service. They no longer feel comfortable in seeing their pediatrician. They are uneasy in relating inner secrets to their parents personal physician or to their mother’s gynecologist. They are often ﬁnancially distressed. Many feel abandoned by the medical care system. At most of the great universities and colleges of our country this problem is being handled by the school itself. Excellent care by physicians of many, specialties from psychiatry to dermatology and gynecology, as well as highly trained family practitioners, nurse practitioners, and physical therapists is being furnished. California State University, Fullerton, provides, in addition to the physicians and nurses, full clinical laboratory service, X ray, and pharmacy care. This center is housed in a $2,000,000 building which, with its services and staff, is available to every student. This was the situation when the epidemic of Herpes began. And it began in the age group of people like our students, the 18- to 25-year-olds who felt they were without medical care. The inundation of cases of Herpes revealed to me that there is far more need than I had ever imagined. The problem is still growing in scope. Within each of us are viruses lurking dormant in various parts of our bodies. This is particularly true of the Herpes virus which seems to be asleep in nerve tissues. Our immune abilities keep the virus quiet in times when there is nothing to lower those defenses. However, like the drought times affect the lake, something may suppress those immune activities. When this happens we no longer have the ability to ﬁght off disease-the water level of the lake has. fallen so that no waste is discharged. Upon still further depression of our defenses, the virus begins to stir and respond to the change within our bodies—the tree snags and rocks begin to appear. This phenomenon accentuates the process so that any weakened area of our body is liable to be attacked by the virus. The sores begin to show up where there is a place of weakness. And like the lake that becomes polluted — we have an episode of Herpes. In the opening dialogue, I wrote about how you may have felt when you were ﬁrst told of having Herpes. You were depressed by such news. Justiﬁably so, for this disease is one that we really don’t know much about, and so far there is no approved treatment. In my homely illustration, the doctor’s manner was atrocious. I don’t know many physicians who will treat a patient like that, failing to explain what is happening, and further, being extremely judgmental. But I do know some. Unfortunately, this sequence of events occurs all too frequently when the diagnosis is that of Herpes. Many physicians are confused by the disease and don’t know what advice to give. Questions about Herpes occur not only to you but also to me. One of my own is why, when I have spent seven years working intimately with persons so afflicted, have I never had an outbreak of the disease. Neither have the nurses who worked with me, nor the laboratory technologists who handled the highly contaminated specimens which we collected from patients having the problem. As I said before, Herpes his a complicated disease. We will begin to try to explain some of the things we do know about it by describing symptoms and signs and discussing the different types of the disease’s manifestations. Actual examples of cases I have treated and cared for personally will be presented. All the names used in this book that relate to patients or case histories are ﬁctional. Certain aspects of the cases have been altered to protect the personal, sacred, and inevitable relationship of conﬁdence that exists between a doctor and her or his patients. The data which is described have been published widely in national and international medical and microbiological science journals and are not conﬁdential. The opinions expressed are my own and I do not speak for anyone else relative to treatments and ﬁndings. In this work I am not promoting or criticizing any course of treatment which others may advocate, but I am relating what my own experience and research have found.